Regulation: Oanda Europe Ltd. is a registered company in the United Kingdom and is fully regulated by the FSA. Instruments: Forex, Commodities and Indices. Features: Good range of platforms with plenty of mobile trading support, as well as very tight spreads on the Forex pairings on offer. At the core of OANDA’s offering is their own propitiatory trading platform fxTrade, which I have remark is a very nice and easy to use platform. It has to be one of my preferred non MetaTrader offering being very versatile and should meet most traders needs. However, if your a fan of MetaTrader OANDA also offer MetaTrader 4 for their customers, which works just as one would expect. This a nice feature for those who are fans of the MetaTrader platform allowing you to operate Expert Advisors and do all the other things that the platform is well renowned for. OANDA Europe also has an impressive range of different mobile trading applications including support for Blackberry’s, Android devices and of course Ipad’s and Iphones. All of the mobile platforms work perfectly and are quite impressive allowing the trader to do much of what they would normally do on the PC or Laptop. All in all, OANDA has a decent range of platforms all of which should satisfy most traders. While their is nothing particularly remarkable or unique about OANDA, their CFD offering is of exquisite quality offering very tight spreads, decent trading platforms as well as providing a high quality of service. OANDA also offers demo accounts to those who want to try out the platform before they deposit real money. There are a couple downsides to OANDA with traders be unable to trade stocks and the maximum leverage available at OANDA only being 50:1. The Spreads at OANDA are particularly impressive being some of the tightest around with the majority of major currency pairings having spreads as small as a signal pip. The spreads for the more exotic currency pairings do of course widen, however the spreads for these currencies are still very competitive and you would probably do a lot worse than the spreads on offer at OANDA. I would say that the spreads on offer at OANDA are very competitive and are significantly tighter than at a number of well known industry players. The spreads on commodities also appear to be particularly tight as well providing the trader with value for money across the board. While overall the spreads at OANDA are very tight one should still search around for the best value, especially if you intend to trade a particular instrument. OANDA Europe has a very good reputation when it comes to customer service, with a number of OANDA customers having praised them for the high quality of service. In my personal experience contacting OANDA has been unproblematic. Depositing and withdrawal have gone smoothly with their even being the option to withdraw funds to a verified Paypal account. This high quality of customer service has gone unnoticed with ForexMagnates picking out OANDA as the best broker of 2012. I personally have no reservations recommending OANDA and would be surprised if you could find many people who were completely dissatisfied with the service offered by OANDA. OANDA Europe is based in London and is regulated by the FSA this allows OANDA Europe to accept clients from throughout the European Union. The FSA is considered to be one of the best European regulators and OANDA Europe has a clean regulatory record. OANDA also happens to be regulated in the USA and Japan, meaning that the brokerage is a serious international player. I wouldn’t have any worries about depositing cash with OANDA as I know it would be safe with OANDA being a properly regulated firm. Overall, I would reccomned OANDA to anyone in Europe who wished to trade Forex and Commodities. It is unfortunate that OANDA doesn’t offer Stocks, but I see that as the only major drawback to the OANDA offering. Unlike most trading platforms eToro only offers their own WebTrader platform and their Social Openbook platform. 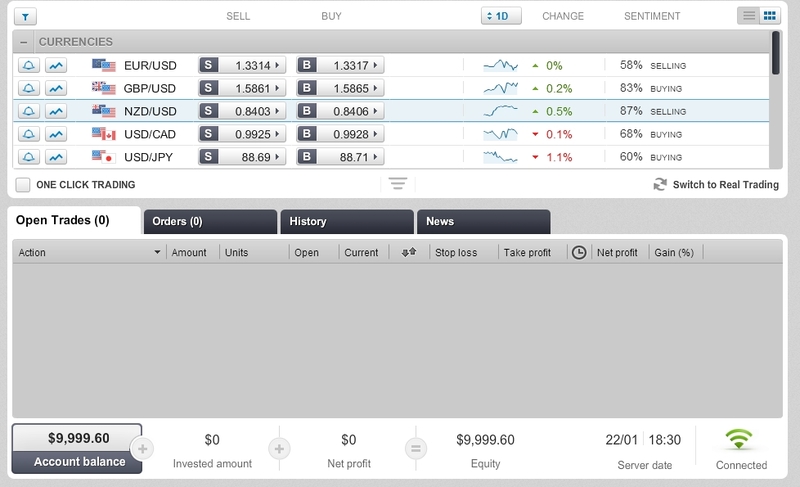 Today, I’m going to look at eToro’s WebTrader 2.0 platform and discuss it’s pros and cons. While comparing it to the offerings of other well known CFD brokerages. Firstly, it should be noted that eToro’s WebTrader has clearly been designed to be very user friendly and is very easy to navigate around. All the menus and options are very clear anyone who has an understanding of how trading works should be able to get to grips with it. It has a number of nice features I like how easy it is to download your trade history to an excel spreadsheet which is a pretty nice feature and allows you to keep track of your trades very easily. Another nice feature of eToro’s WebTrader is that you can set yourself and audio alarm when an instrument reaches a specific price, which means your not forced to watch the markets the whole time if you have already decided to take position if an instrument reaches a specific price. Opening and closing positions is very easy and should be easy for anyone, allowing you to set take profit and stop loss levels when you open your position. A news feed is also built into the WebTrader meaning that you don’t have to have a news site open, the news featured is both relevant and updated several times a day with breaking news. 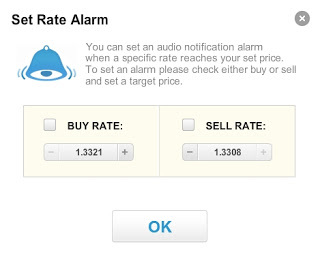 The weak point of the eToro WebTrader platform has to be the charting features. Charting opens up in a new window and allows you to add all the technical indicators you would expect, within a couple of minutes I was able to set up the charting features to my liking. Though I don’t particularly like reading from the eToro charts preferring MetaTrader’s charts. All the indicators are perfectly functional and are very easy to apply even if they are oddly named “Studies”. Even if eToro’s webtraders charting features aren’t the most sophisticated they will probably fulfill most people’s needs. In conclusion then eToro’s WebTrader 2.0 is perfectly functional even if it isn’t as sophisticated as MetaTrader’s trading platform. There is no support for algorithmic trading applications or programs, though it should be noted that many people choose eToro due to its strong social trading features. If your a new trader or interested in eToro primarily for the social trading features, their WebTrader platform should be more than enough to keep you going. More advanced or sophisticated traders are probably going to want to use other trading platforms which give them more flexibility and options to choose from. Regulation: In Europe, AVA FX are regulated by Central Bank of Ireland. AVA FX is also regulated in Australia by ASIC and in Japan by the Japanese FSA. Instruments: Forex, Stocks and a range of Commodities. 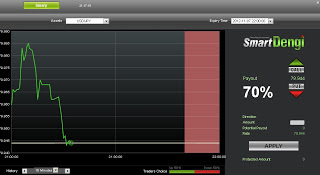 Features: Wide range of platforms to choose from as well as social trading features. At the center of AVA FX’s offering is the well known MetaTrader 4 platform, which is a well known platform and a favorite among many a CFD trader. As you would expect AVA’s version of MetaTrader 4 doesn’t differ from the standard MetaTrader offering. Scalping is allowed at AVA FX but limits are placed on the activity of arbitrage Expert Advisors. What these limits are isn’t made entirely clear. If MetaTrader isn’t for your AVA FX also offer their AVA Trader platform which is pretty functional, though I feel it is a bit crowded for my liking as their is simply too much going on. Though I sure some will like the AVA Trader and find it pretty intuitive. Another thing that will attract people to AVA FX is the fact that it offers extensive options for those who want to engage in social trading. For one their is the well known Mirror Trader program which is available at a number of different brokerages.Secondly, AVA FX also provides support for those who wish to use ZuluTrade, as well as offering the similar alternatives Currensee and ayondo. So it appears that AVA FX may be a good option for those who wish to try their hand at social trading. AVA FX doesn’t offer anything particularly unique apart from its support of a wide range of social trading platforms. But apart from this I cant see AVA FX offering anything particularly unique in terms of trading. Though I could see AVA FX being a good option if one intended to get into social trading. The Spreads on offered at AVA FX aren’t that great but there not the worst either, spreads on the major Forex pairings range from around 2-3 pips. Though the spreads do get significantly wider when it comes the more exotic pairings. However if your only trading the major pairs the spreads should be tight enough to allow you make some decent profits. I have done an in depth analysis of Forex spreads which didn’t include AVA, but I believe that AVA FX would fit in the middle of the said list. But would still provide significantly less value than the best CFD providers in the market place. When making a decision about which brokerage to choose one should determine what instruments they intend to primarily trade and determine which brokerage provides them with the best value for money. The customer service gets a pretty heavy slating at AVA FX, with their being lots of reports of individuals having to wait an extended period of time in order to be able to withdraw their money. There have also been complaints that AVA FX appear to make up stories in order to satisfy their customers, as well as giving out inaccurate or misleading information. Unsurprisingly AVA FX dispute this and contend that they provide a very high quality of service to their customers. While I can’t come down on either side of this debate, I think the reports are concerning enough to mean that individuals who are interested in depositing with AVA FX do some serious research before depositing cash with them. In Europe AVA FX is regulated in Ireland by the Central Bank of Ireland. Due to the fact that Ireland is a full member of the European Union in accordance with MiFID directives AVA FX is able to accept and take on clients from throughout the European Union. AVA FX has received some criticism regarding being regulated in Ireland due to the fact it is perceived to be one of Europe’s weaker regulatory regimes. As far as I can tell AVA FX has never been on the receiving end of any financial penalties or warnings. AVA FX also holds ASIC regulation which allows them to operate and accept Australian customers and again to the best of my knowledge they haven’t received any fines or penalties. Further on top of this AVA FX is also regulated in Japan allowing them to take on Japanese customers, this means that AVA FX has a global presence operating in a number of different jurisdictions. I believe however that AVA FX is an offshore company as it is also going through the process of obtaining BVI financial regulation, it is also reported to have strong connections to Israel. Overall, I wouldn’t say that AVA FX is the worst brokerage out there but I would also not place it among the best brokerages. I personally wouldn’t deposit any serious amount of money with AVA FX. Regulation: SunbirdFX is the trading name of Sunbird Trading limited of Seychelles and appears to be a completely unregulated entity. Though they do apparently have offices in Ireland. Instruments: The offer 27 different currency pairings, as well as offering a limited number of commodities including Oil, Gold and Silver. Special Features: Nothing particularly unique about at the experience at Sunbird Forex. SunbirdFX offers MetaTrader 4 & 5, as its primary trading platforms. Many will already know of the MetaTrade platform as it the leading platform for retail FX trading, with numerous brokerages offering MetaTrader to it’s clients. The Sunbird MetaTrader platform doesn’t differ much from the standard MetaTrader platform with Sunbird Forex allowing it’s customer to scalp and use Expert Advisors without any limits. Sunbird also offer the MetaTrader for the mobile allowing their traders to trade while on the move. This is a clever move by SunbirdFX as on the move trading is set sore within the next few years. While Sunbird offers the standard MetaTrader platforms as well as the mobile version there is no webtrader or standalone download platform to download. However this will probably not be much of a problem for many. Especially as Sunbird is one of the brokerages that offer support for ZuluTrade allowing their clients to use the ZuluTrade platform to copy others trades. There is nothing particularly remarkable or unique about the Sunbird offering however their are a number of things that traders might be interested in. For example the support for ZuluTrade, which I have mentioned already might attract some people to SunbirdFX. The fact that they allow unlimited scalping may also attract others, but apart from this there isn’t much unique about the offering from Sunbird. The Spreads on offer at Sunbird are floating and there website the quote both their target spread and average spread for each instrument. The average spreads vary a great deal with some being really quite competitive while others being wider than at many fixed spread brokerages. There is always a bit of a problem when interpreting average spreads, first you need to realize that the brokerage may not be being honest or is displaying average spreads from a favorable period of time. All in all though when it’s just down to spreads it appears that SunbirdFX remain pretty competitive with a number of bigger brokerages. As I have already said SunbirdFX is the trading name of Sunbird Trading Ltd. a Seychelles based and unregulated operation. However it is apparent that Sunbird’s major customer service center is based in Ireland, though Sunbird do offer toll free numbers for those in other European countries such as the UK and Italy. I have seen a number complaints made about slow withdrawals at SunbirdFX, but it appears that Sunbird at least do there best to resolve these problems. Thus the customer service at SunbirdFX has a surprisingly good reputation considering the fact that Sunbird are an unregulated entity. I haven’t been able to find out much about SunbirdFX’s parent company Sunbird Trading Ltd. due to the fact they are an offshore entity, which is always a little worrying. A the time of writing SunbirdFX was a completely unregulated company with there being no financial regulation in place. A number of sources suggest however that Sunbird are going through the process of becoming regulated somewhere, however I have been unable to find any official word on this. While SunbirdFX has pretty good reviews regarding customer service etc, it is deeply worrying that the firm is unregulated as it means it doesn’t have to abide by many important regulations including client fund segregation and otherwise. It means you don’t also have some of the important protections you would have in place if you chose to deposit with a European regulated brokerage. For me personally this is enough not to ever deposit money with an unregulated brokerage as it will always be a very high risk move. Overall, though SunbirdFX seems to have a number of points in it’s favor, the crucial fact that it operates unregulated is enough for me to advise people not to deposit their hard earned cash with the bank. Regulation: Appears to not be regulated by any particular financial regulatory authority. It has listed a Belize International Business Companies Act registration listed on its website under the name Neto Trade Global Investment Ltd. Belize is a well known offshore entity, this means I believe NetoTrade is a unregulated entity. However there is also a British entity named Neto Trade UK Ltd. which seems to be a subsidiarity of the offshore holding. Such a company structure is slightly dubious. Instruments: There are 49 different Forex currency pairs on offer at NetoTrade however there appears to be no other instruments available to trade at NetoTrade and I have been unable to find a list of instruments at their site. NetoTrade offers the MetaTrader 4 platform and as you would expect this version of the platform doesn’t really differ from many of the other platforms. It also appears the NetoTrade version of MetaTrade does support Expert Advisors, but there is no information about whether NetoTrade allow you to use scalping expert advising and I’m guessing that the answer is probably no. There is also the option to use the NetoTrade web trader and the NetoTrade mobile trader, which are both perfectly functional even if the not offer brilliant functionality. It looks like the web trader may be powered by the Srix platform but I’m not 100% sure and the mobile platform is written HTML 5 and is similar to a number of other web platforms available at the moment. There is nothing remarkable or unique about the NetoTrade offering so this section is going to be very short. I was unable to find any listing of spreads fixed or floating, so again it is pretty hard to remark on what kind of Spreads are offered at NetoTrade. Not having spreads listed on your website is very bizarre the majority of brokerages have their spreads listed very clearly allowing you to compare them against other brokerages, however this is not the case at NetoTrade. Seems a bit fishy and odd. I have no intention of placing $100 with them just to discover the spreads on offer. NetoTrade has a UK phone and fax line listed on their website as well as the address of Neto Trade UK Ltd. According to Companies in the UK 726 different companies are registered to 788-790 Finchley Road strongly suggesting that this is merely a forwarding address. This strongly suggests that those running NetoTrade are keen to hide their location, this may be either due to the fact they are not operating in this country or do not want people turning up to there offices. This may be the case considering their website seems to link to two different countries both Neto Trade Global Investment Ltd. of Belize and Neto Trade UK Ltd. There have been a number of different individuals complaining about the services at Neto Trade and some have even accused NetoTrade customer services having been rude to them. Establishing whether these accusations are correct is difficult however, but such accusations are concerning. NetoTrade UK Ltd. which appears to be the company which operates NetoTrade appears to be totally unregulated it’s company house registration lists as a company providing, Other Business Support Service Activities. This may mean that NetoTrade UK is just the service company for it’s Belize registered parent company, the problem with this is that CFD’s aren’t financial regulated instruments to the best of my knowledge meaning that NetoTrade is an unregulated entity. NetoTrade’s UK Ltd. only listed director has been a director of 42 different companies with many of these companies appearing to be of a financial nature. While some are in various technology niches including one company which appears to produce adult mobile apps. It could even be the case that this director is just a face for NetoTrade UK and the other companies linked to him, with a company called Centrum Secretaries being the Secretary of NetoTrade UK which appears to be a company that provides secretary services to a number of different companies. The company structure again is highly nontransparent making it seem quite likely that NetoTrade is an unregulated entity. Overall, I would suggest that people are very careful when doing business with NetoTrade and it’s associated companies. Regulation: youtradeFX is the trading name of Youtrade Capital Markets Limited. who are authorized and regulated by the FSA of the United Kingdom. Though youtradeFX has somewhat of shady past with many alleging that they were an unregulated Israeli based entity. Features: Demo Accounts and a various educational tools. Instruments: Forex, Commodities and limited Stocks. YoutradeFX offers a variety of different ways to trade the financial markets offering both the MetaTrader 4 & 5 platform. Both these platforms are very popular with traders and youtradeFX claim that there is no slippage on their platform. It’s not made clear what support if any they offer for those using Expert Advisors with their platform and whether they allowing scalping etc. They also offer a web trader application based on the Srix software which is perfectly functional allowing traders to open and close positions as well as undertaking basic charting etc. They also offer the MetaTrader mobile program and another web mobile trading platform providing plenty of provision for those who want to trade on the move, which will definitely be of interest to some people. They also have the widely available social trading platform mirror trader again which will be of interest to those who engage in social trading. Though it should be noted that those who want to social trade would be better of using a platform such as ZuluTrade or eToro. YouTradeFX is one of the 65 different brokerages that offer ZuluTrade support so it’s possible to use ZuluTrade in conjunction with YouTradeFX. There is nothing particularly unique about the offering from YouTradeFX with their offering seeming to be particularly unremarkable. It should be mention that YouTradeFX does remark that they offer the best one to one coaching around, but as I have never been on the receiving end of this coaching I cant comment on how good or valuable it is. Many brokerages seem to be offering new clients one to one coaching and I can see why many brokers offer such a service. As a final note it should pointed out that YouTradeFX also offers demo accounts. 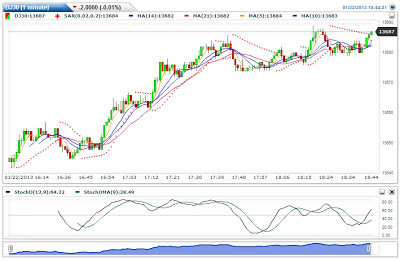 The Spreads on offer at YouTradeFX aren’t particularly tight with only two major pairings being tight as 3 pips. You would be able to find much tighter currency spreads at a number of other regulated brokerages. The situation isn’t much better when it comes to commodity and stock CFD’s with some of the spreads being pretty wide even on some of the more popular instruments. I’m pretty certain that one could find a provider who offers a better overall range of spreads. This seems to be a good enough reason to avoid trading at YouTradeFX as getting a good deal on spreads can make a huge difference in terms of profits and losses. YouTradeFX has a particularly bad reputation when it comes to customer service, with many saying that withdrawals can take upwards of two weeks. With YouTradeFX allegedly ignoring these customers and not getting back to customers after they have complained about not receiving their withdrawals. There have also been accusations that representatives from YouTradeFX have been giving glowingly positive reviews to their website at a number of Forex websites. It will be interesting to see if anyone leaves suspicious reviews here. Though YouTradeFX claims they offer great customer service their seems to be plenty of testimonials which paint a very different picture. YouTradeFX parent company YouTrade Capital Markets Ltd. was founded in 2011 and became FSA regulated in 2012, but before hand was believed to be operating from Israel completely unregulated. After a little digging I found that 3 out of the 4 directors of YouTrade Capital Markets Ltd. have very Jewish names suggesting at least some possible connection with Israel. Another thing that suggests that this company has foreign origins is that again 3 out of the 4 directors have YouTrade Capital Markets Ltd. business address also listed as their home address suggesting that these particular directors are based outside of the UK. Either that or they live in the offices of YouTrade Capital Markets which is highly unlikely. All this being said YouTradeFX has a clean regulatory slate with no disciplinary action ever being undertaken against them by the FSA. Though to be fair the company has only been regulated since April 2012 and Regulatory bodies can take a long to react and undertaken investigations. Overall, I would personally avoid dealing with YouTradeFX.